Waterman works with UCLA transplant patients participating in clinical trials to help design education resources such as videos, iPad mobile applications, and information on overcoming financial and practical barriers to transplant surgery. 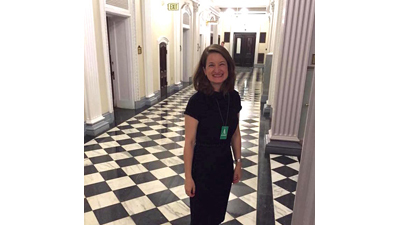 However, the highlight of her efforts came in June 2016 when Waterman participated in a White House Organ Summit spurred by President Obama’s call to reduce the organ transplant waiting list. Here’s how she describes her experience. This story was initially published on March 28th 2017 by UCLA Health and was written by Enrique Rivero.